You are here: Home / Frequently Asked Questions / What is the Settlement Value of my Case? 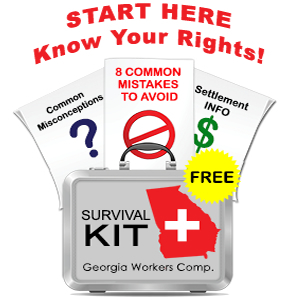 Workers’ compensation claims in Georgia do not have to end with a lump sum settlement. Judges at the State Board of Workers’ Compensation do not have the authority to decide that your case has a lump sum value. Instead, cases settle when you and your employer’s insurance company agree on a lump sum figure. Other factors come into play based on my experience and the specifics of your case. These I will discuss with you confidentially as we prepare our demand package. Sometimes I am able to negotiate a settlement directly with the insurance adjuster or insurance company lawyer, but often, we use the mediation process to make settlements happen. Mediations have the advantage of putting everyone in the same place with a neutral third party who can help both sides get past negotiation roadblocks.